Aeration is the process of oxygenating your water. When your lake or pond has low oxygen levels, it is more likely that your lake or pond will have contaminated water and a host of mosquitoes and foul odors that can cause severe health conditions. Aeration also helps in removing harmful microorganisms and promoting air circulation so that plants and wildlife can develop. When you develop adequate aerator systems you prevent: Fish from dying, poor water clarity, foul odors, and event insect proliferation. If you aren’t convinced yet on the importance of aeration for your lake or pond, we have put together a few more benefits. Once you are oxygenating your lake or pond you will notice that it will look cleaner and much nicer than before. 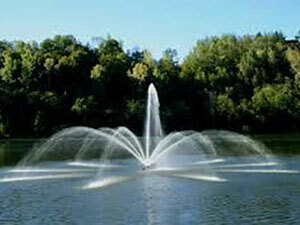 Water aeration will make your lake or pond’s water crystal clear. Cleaner water means healthier water that will not put your family’s health at risk. Water bodies can be a bit tricky sometimes and may host harmful bacteria long before any foul odors or dodgy water start appearing. Make sure you stay one step ahead and keep your lake or pond in good shape with the proper aeration systems. Lakes and ponds are usually home to fish and other life forms. Game fish like bass benefit from water aeration as much as the lake itself. Fish, like most living creatures, need oxygen to breathe, so low oxygen levels can have fatal effects on fish and other living organisms. Proper water aeration will help fish reproduce and keep a balanced ecosystem. Oxygenating your lake also helps water vegetation to flourish, which are a key component of the food chain. 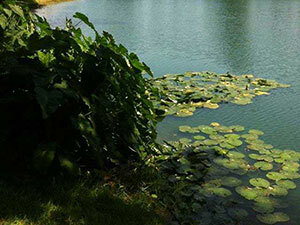 Water vegetation have a lot to offer to any lake or pond: they increase the water body’s visual appeal, form a vital part of the ecosystem, and also naturally oxygenate the water. One of the most beneficial parts of having a healthy body of water is the value that it adds to any property. If you have a property for sale with an unhealthy body of water you may lose thousands of dollars. A healthy lake or pond means you can use it as a selling point and add to the cost rather than losing money. 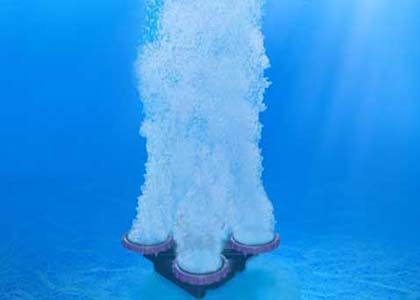 Two types of aerators are used conventionally in the water aeration process: subsurface aeration and surface aeration. Furthermore, there are many techniques and technologies available for both methods. The first one introduces air into the water through fine bubbles. The other method of water aeration creates tiny water drops that cascade through the air. For this method, we use fountains. Fountains are both cosmetic and practical in this case for your lake or pond. If you have murky water, oily textures, or foul odors you should seek professional help immediately. When hiring Clearwater Consulting to take care of the aeration for your lake or pond, you’re not only making an economic investment, but making a decision with potential impacts on your health and that of the wildlife. 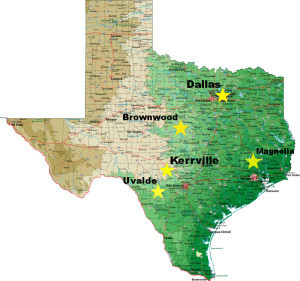 The consequences of mismanagement can be disastrous financially and in regards to the life of your lake or pond. Contact us today for more information!